It's been a hectic late summer and fall season so far. First off, my wife and I moved from Los Alamos, NM to Denver, CO in August and I have been trying to take advantage of living at the base of the Colorado Rockies as much as possible. 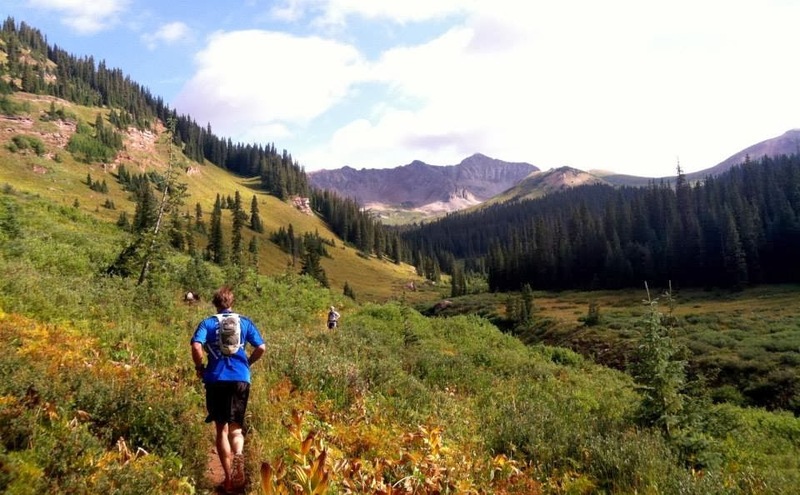 The weekend after moving, I joined good friends for a 40ish mile run from Crested Butte to Aspen, CO. We passed through some beautiful scenery and paid way too much for pizza and beer at the end of the day in Aspen. 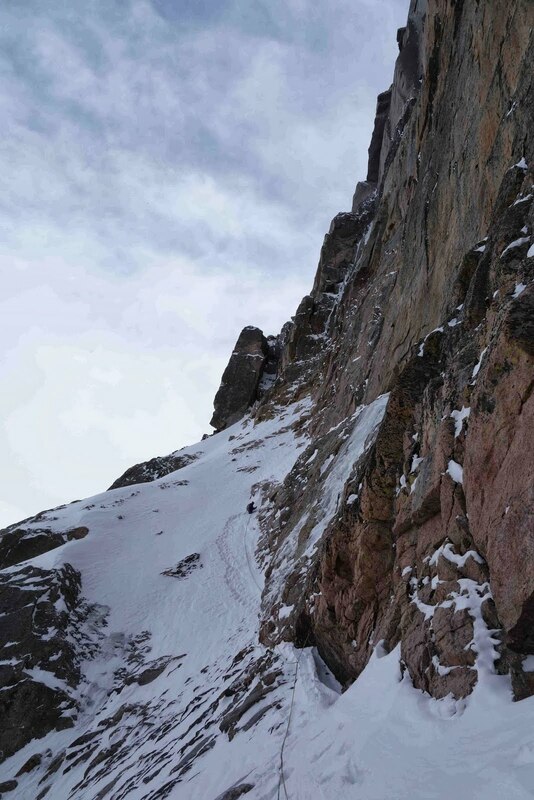 The next week, my friend Phil Wortmann talked me into "running" Kiener's Route on Longs Peak, a classic mountaineering route that traces up the edge of the Diamond face. However, once we were high on the route, I realized that running, let alone soloing fast, at fourteen thousand feet was not going to happen and I spent all day sucking wind while chasing Phil up this classic route. 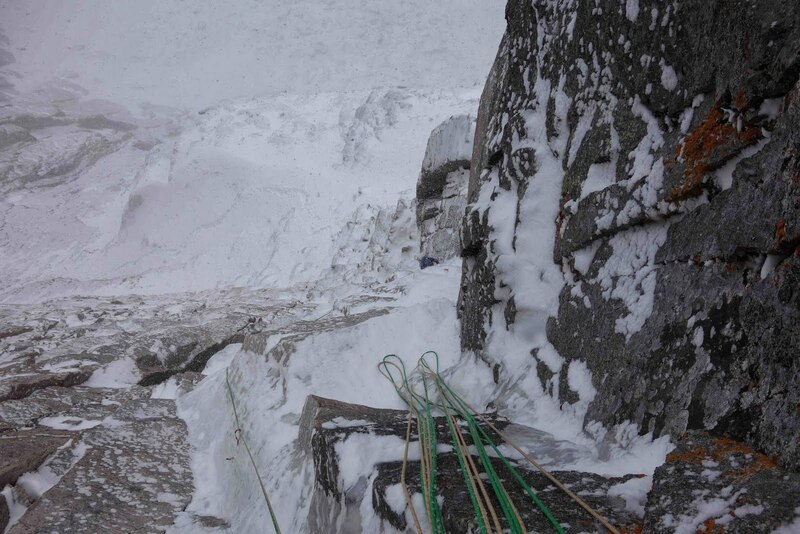 I had never done the route on it's own, only the upper portion after climbing routes on the Diamond. 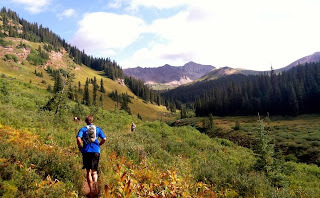 What a blast, especially with just running shoes and a light MTR pack! Myself leaving Broadway on our run of Longs Peak. Shortly after Phil and I took a morning spin up Longs, the Front Range of Colorado received historic rainfall. This caused massive destruction in many towns and rearranged the mountain landscape. We luckily escaped damage in our new Denver home, but many friends were not so lucky. The next few weeks were occupied worrying about friends affected by the floods, helping those we could, and then dealing with the government shutdown. 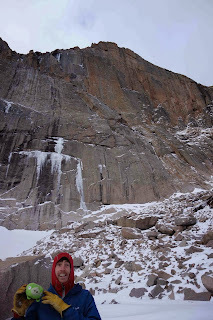 Eventually we made our way back into the mountains, finding the seasons had changed and there was now ice plastered all over Longs Peak. Morning sun on the east face of Longs Peak. The Smear of Fear is the prominent ice smear in the just left of middle of the photo. 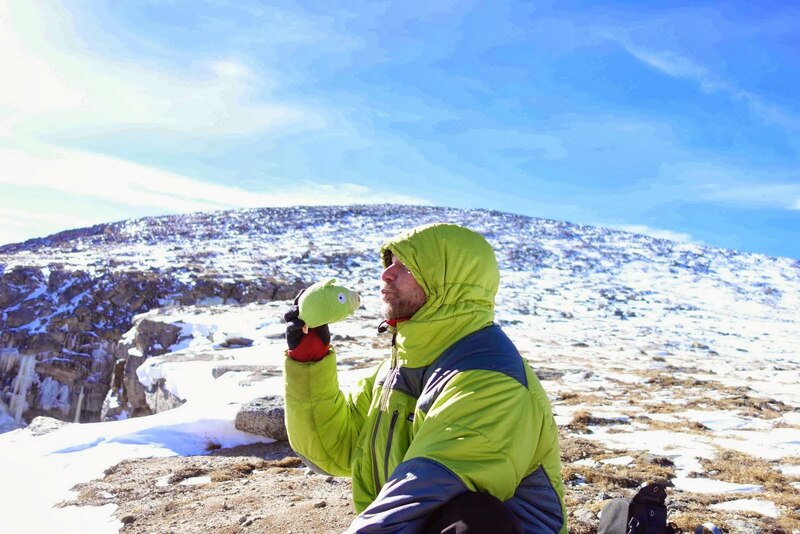 While living in New Mexico, I would obsess over rumors of friends getting after early ice and mixed in late September on Longs Peak. Jealously would soon be followed by not-so-fond memories of doing the approach multiple times a week to climb as much ice as possible before the winds sublimated it all away. 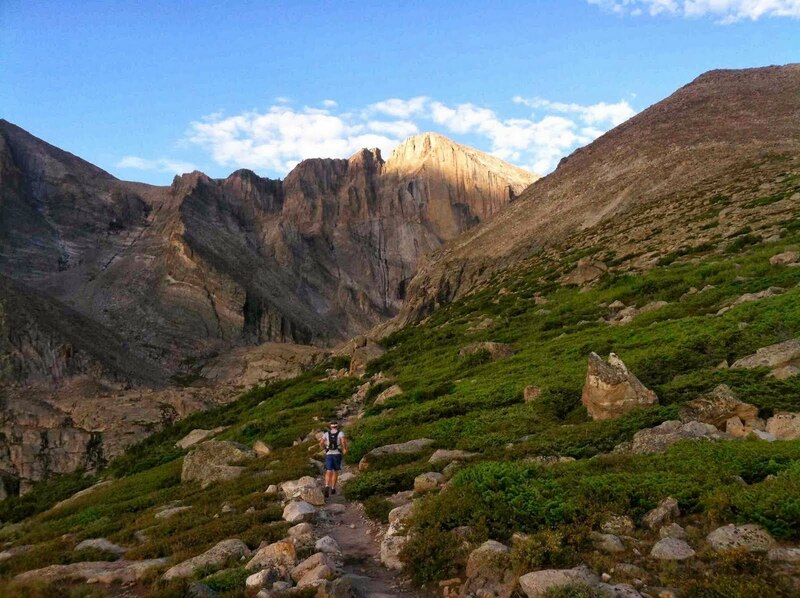 One year I walked into the Longs Peak cirque three times in five days chasing a rarely forming mixed route on Mt. Meeker. 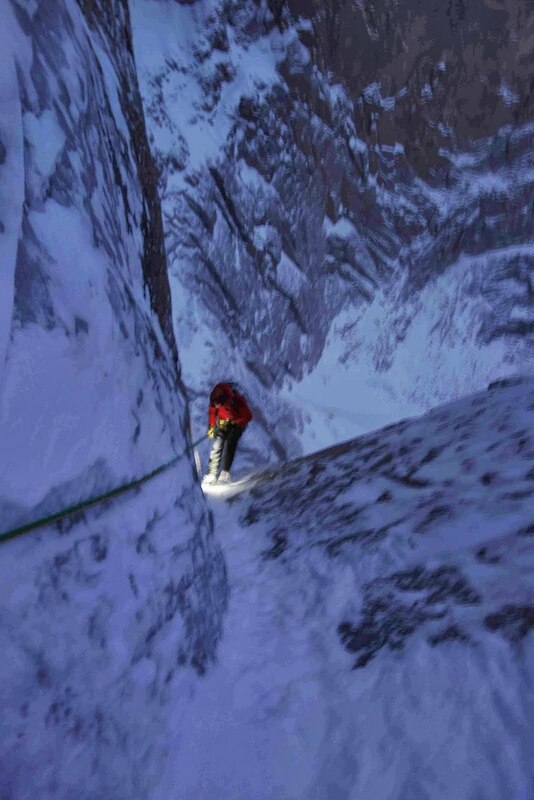 This time of year signals a change in climbing for me, as the pursuit of ice and mixed climbs takes precedence over all other mountain activities until the end of Alaska climbing season in the spring. My wife calls it the beginning of the obsessive season, as I'm constantly checking weather reports and trying to find partners who are willing to just take the ice tools for a walk and hope for the best. I'm way too excited for the return of the screaming barfies, being scared, and chasing ice. 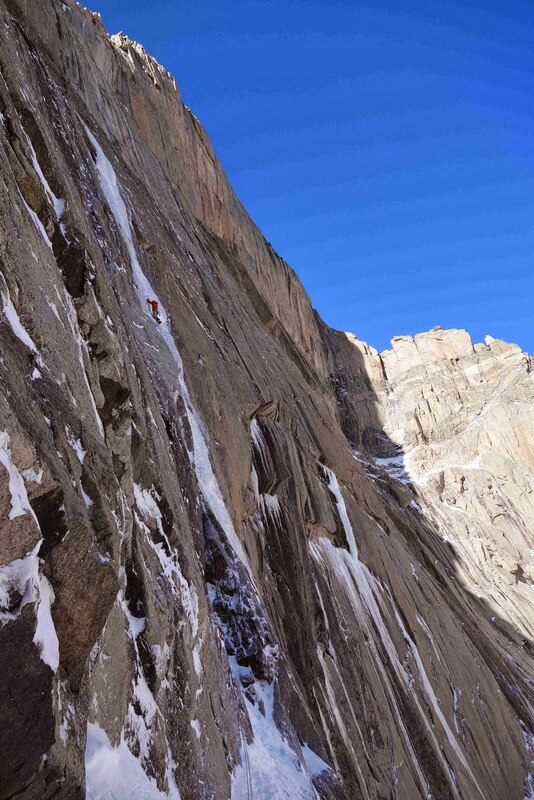 Phil and I climbed the Smear of Fear as our first ice route of the year, where I repaid Phil by talking him into doing the mixed variation since it is "more fun"! It had been almost 7 years since I had done the route, between it's ephemeral nature and my ongoing academic pursuits. Despite the mild temperatures in the sun, the "Patagonia simulator", also known as Longs Peak, delivered and we were blasted with wind all day. 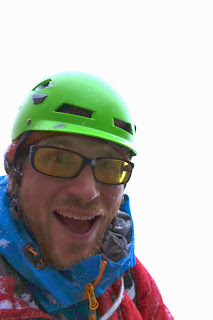 Nothing says welcome to ice climbing like freezing all day when your friends are sunny rock climbing just a few miles away. 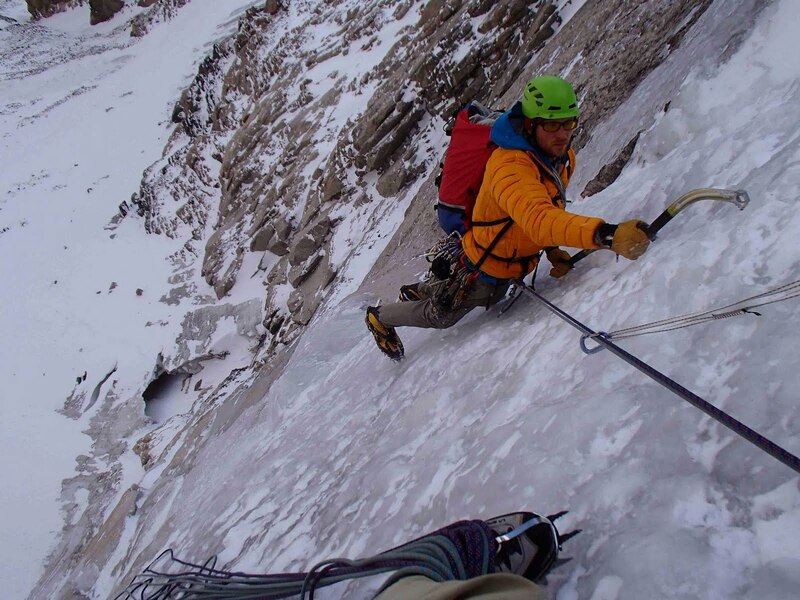 Phil Wortmann on the Smear of Fear after gaining the ice through a mixed variation. Myself following on the Smear of Fear, all bundled up and it's not even winter! Travel Pig wants to go back to the warm sun...I think I'm with him. 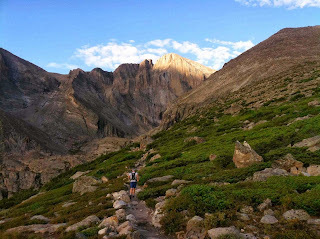 Later that week, I made the trek back up to the Longs Peak cirque with Scott Bennett, our goals set on a much bigger day. The day started with the appropriate introductions being made between Scott and Travel Pig. Travel Pig isn't quite sure why he is upside-down, but is happy to be back up at Longs! Scott and I made quick work of Field's Chimney and headed for our goal for the day, a rare pitch of ice high up in the Window feature of the Diamond. Unfortunately for us, the weather had other ideas and the incoming storm made it's presence known a few hours early. This left us both rappelling and walking out in a whiteout with headlamps, giving us the first beat down of the season. 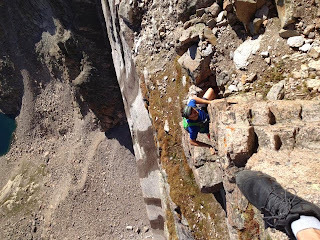 Scott traversing out of Field's Chimney towards the Window. Scott following on the Window as the snow intensified. 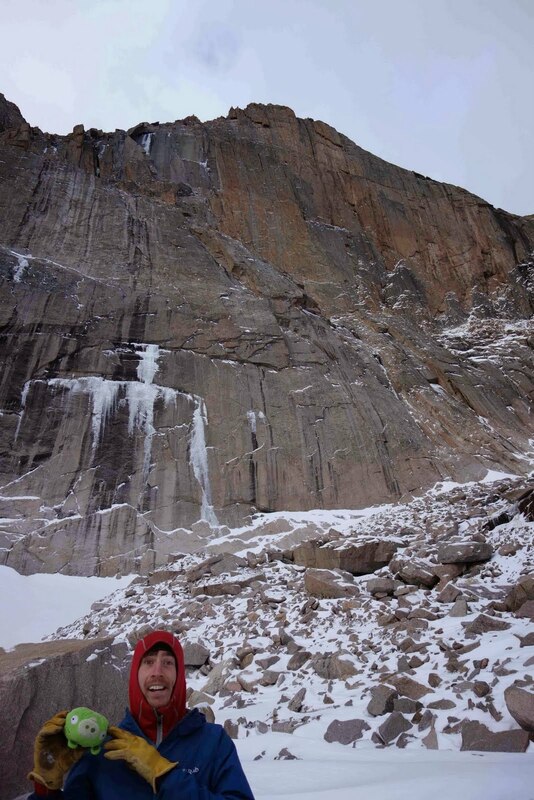 Scott beginning the long descent in a storm high from the East Face of Longs Peak. 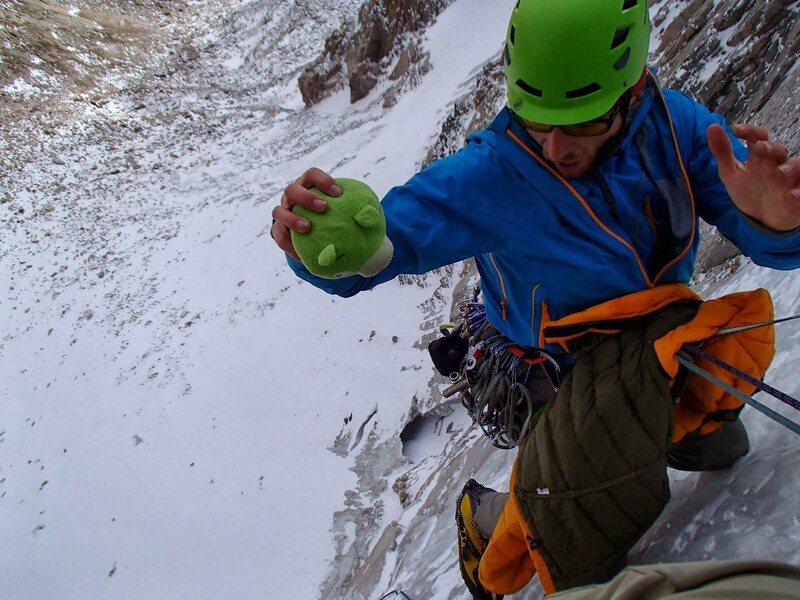 Kevin Cooper and Topher Donahue ending up making the first ascent of the ice pitch we bailed from a week or so later, calling it "Window Pain". 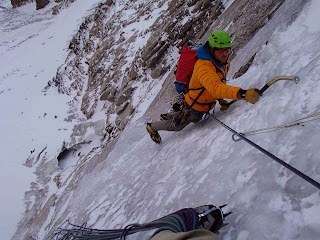 Topher has a great post about their experience, found at his blog: Chasing dreams on the Diamonds elusive ice. What a great effort on their part to get it done!! After our beat down on Longs Peak, Scott and I went on to establish a new route mixed route in the Black Wall area of Mt. Evan's, a route I had tried to catch in condition multiple times over the past decade. I went so far as to run up Mt. Evans before the snows came in late September to check on the route and its possibility of forming. Maybe my wife is right about the obsessive season thing... On the bright side, Travel Pig made yet another friend, but that all is a story for the next post!